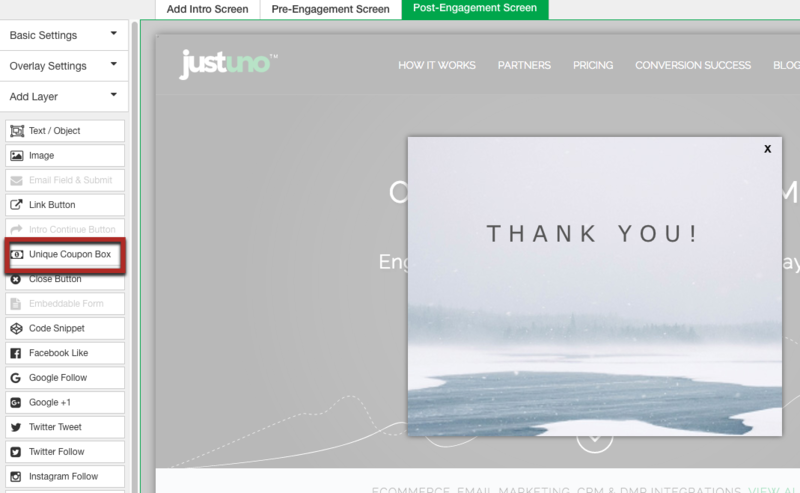 As of August 8th 2018, Justuno now features an auto-fetched coupon system that dynamically generates coupon codes based on a promotion engagement. This feature is currently available on the web platforms SHOPIFY and BIGCOMMERCE. 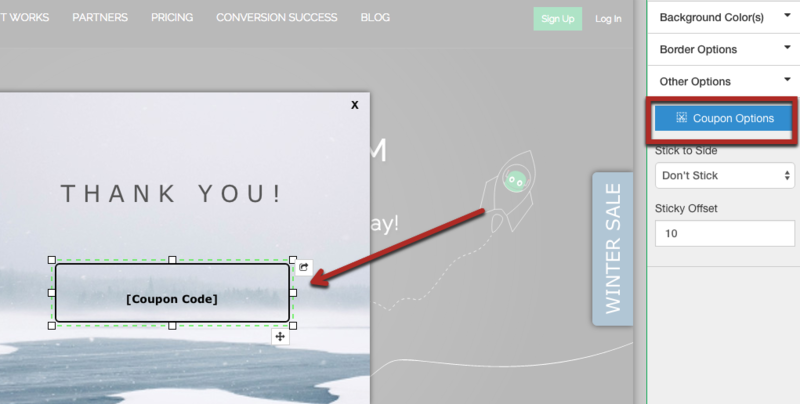 When setting up your promotion there are two ways to add/edit a code if using a locked promotion! TROUBLESHOOTING TIP: If you do not see any [coupon code] layer within the post purchase area this means the template you are using did NOT use a coupon presenter layer. If you are not using unique codes you do not need a coupon code presenter layer and can insert a coupon using a text layer instead! Step 1: Head to your design canvas under edit design from the actions drop down menu on the right hand side of the promotion. Step 3: If you want to edit the coupon code please follow the instructions above! 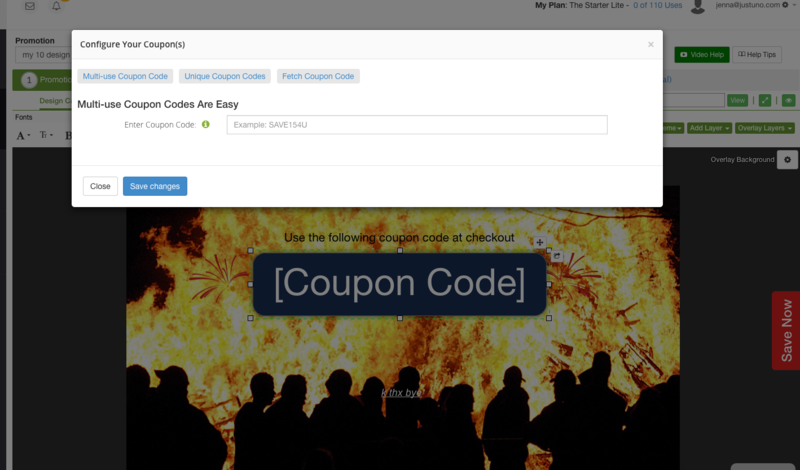 The layer text of [Coupon Code] will not change unless you view the promotion via the preview or live.